MySQL Backup FTP lets you backup your MySQL database and store them in your preferred choice of locations like a Network Server, FTP Server or on your Local machine itself. You can schedule a backup process in a minute time using their simplified interface and that's it you have done. Once the backup is completed you will get an email on about the success or failure of the process. Instead of going through each and every features of it I just want to highlight some of them which I like most. It lets you choose on which file format you want the backup to be taken either in .zip or .7z formats. Let's you to choose the backup file compression option which help in saving the backup in an encrypted format. 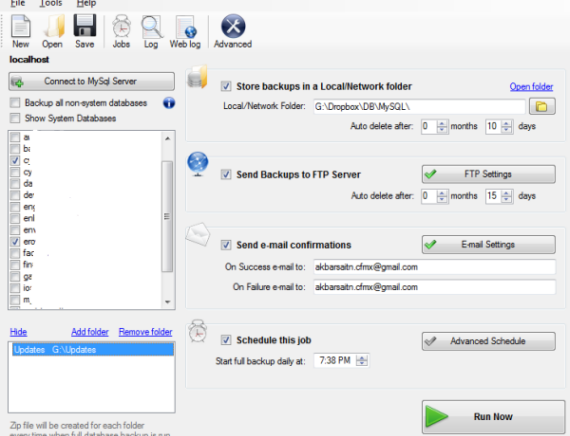 Completely logs the backup process and allows you to choose the location for storing the logs. 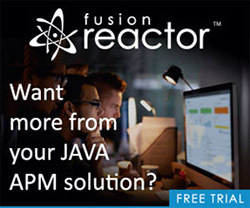 Either locally in your machine or on their server using the weblog option. Options for what needs to be included in the Structure and Data of the generated SQL backup Script. Like adding a custom comments, disabling the foreign key checks and so on. Features like setting the timeout duration and temp folder location for large database backups. MySQL Backup FTP has some limitations as well like it supports only MySQL 5.0 and higher versions, available only for windows platform. Apart from these limitation I think this is and really handy utility with tons of feature. The MySQL Backup FTP team updated that with the next release, the tool will allow us to make backups to the most popular cloud storage services like Amazon S3, Dropbox and Dropbox like service, and Box.net etc. I'm sure this tool will be really helpful for you too. So give it a try to the free version available if you haven't used it already and let me know what you think about it. I've been using MSSQL backup and ftp tool for almost a year and it saves my entire time on working on backups. Is this support to sql server 2012 express. And what is the price of liceance version?